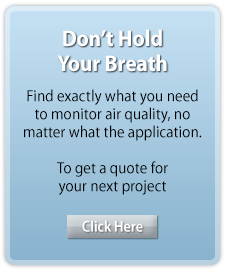 Haz-Dust™ Model HD-1100 is an affordable Real Time Dust Monitor Designed for Industrial Hygiene, Indoor Air Quality and Haz-Mat air monitoring Investigations providing accurate and instantaneous data on airborne particle concentrations, in accordance with the regulatory USA NIOSH method 0600 for lung damaging Respirable particulates. When coupled with the DL-103 data logger, maximum automation is achieved for data collection, statistical analysis, graphs and detailed report generation. Software is completely Windows compatible and easy to use.